CSIRO scientists have confirmed the hybridisation of two of the world’s major pest species, into a new and improved mega-pest. One of the pests, the cotton bollworm, is widespread in Africa, Asia and Europe and causes damage to over 100 crops, including corn, cotton, tomato and soybean. The damage and controlling the pest costs billions of dollars a year. It is extremely mobile and has developed resistance to all pesticides used against it. The other pest, the corn earworm, is a native of the Americas and has comparatively limited resistance and host range. However, the combination of the two, in a novel hybrid with unlimited geographical boundaries is cause for major concern. The CSIRO researchers in a paper published in the Proceedings of the National Academy of Sciences of the USA provides clear evidence of the hybridisation of the two moths in Brazil. “A hybrid such as this could go completely undetected should it invade another country. It is critical that we look beyond our own backyard to help fortify Australia’s defense and response to biosecurity threats,” Research Director leading CSIRO’s Biosecurity Risk Evaluation and Preparedness Program Dr Paul De Barro said. While a combination of insecticides currently controls these pests well in Australia, it is important to study the pests themselves for sustainable long-term management world-wide. “No two hybrids were the same suggesting a ‘hybrid swarm’ where multiple versions of different hybrids can be present within one population,” fellow CSIRO Scientist Dr Tom Walsh said. 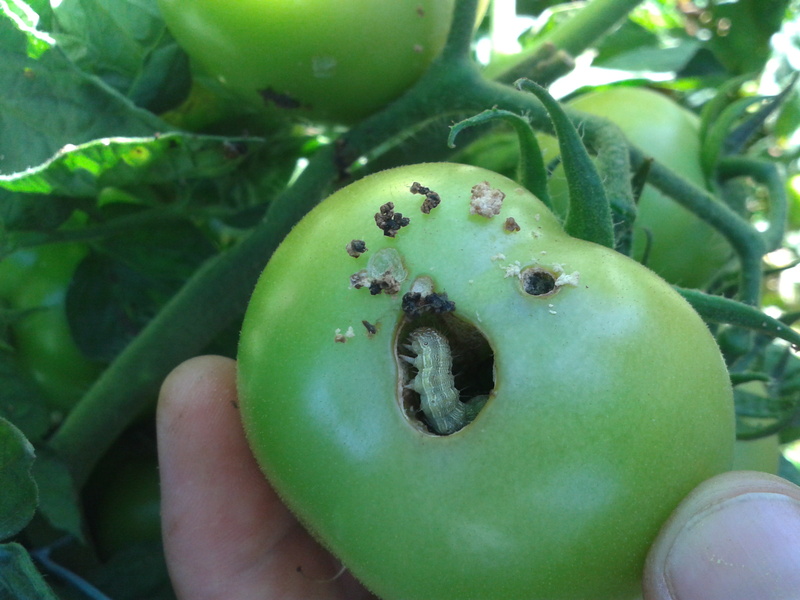 The bollworm, commonly found in Australia, attacks more crops and develops much more resistance to pesticides than the earworm. A concerning finding among the Brazilian hybrids was that one was 51 per cent earworm but included a known resistance gene from the bollworm. Lead author of the paper Dr Craig Anderson, a former CSIRO scientist now based at The University of Edinburgh, believes the hybrid study has wide-ranging implications for the agricultural community across the Americas. “On top of the impact already felt in South America, recent estimates that 65 per cent of the USA’s agricultural output is at risk of being affected by the bollworm demonstrates that this work has the potential to instigate changes to research priorities that will have direct ramifications for the people of America, through the food on their tables and the clothes on their backs,” Dr Anderson said. 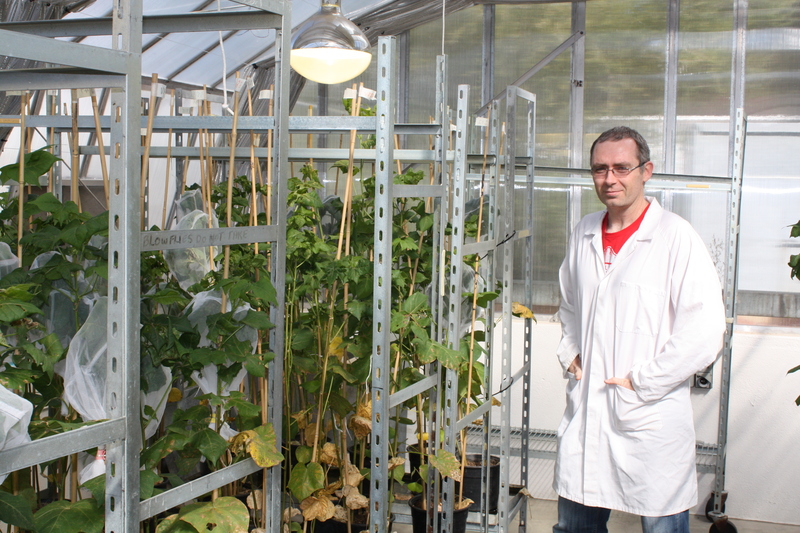 CSIRO scientist Tom Walsh working with cotton and its major pest Helicoverpa armigera or cotton bollworm. Globalisation and increased movement between countries and continents means movement of agricultural pests is becoming more common. Global trade means global pests.